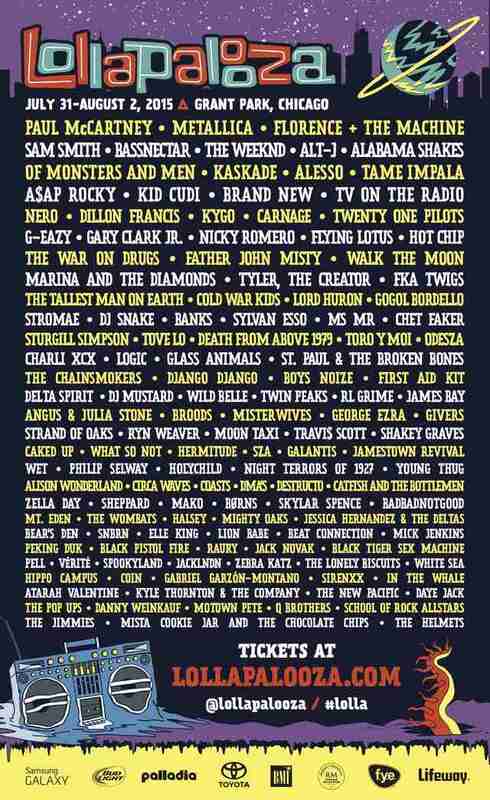 The full 2015 Lollapalooza lineup has just landed and, basically, it's going to be a helluva party in Grant Park later this summer. 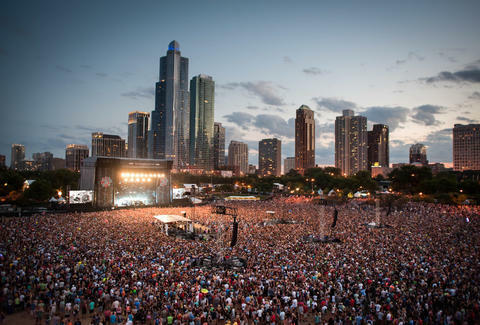 Get ready for headliners like Metallica, Florence + the Machine, and Bassnectar as well as the dozens of other acts that will rock Chicago's front yard July 31st - August 2nd. Additionally, Lollapalooza will start selling single-day tickets in just a few hours at 10am CDT Wednesday morning. On Tuesday, three-day general admission passes pretty much sold out faster than you could say "take my money." Tony Merevick is Cities News Editor at Thrillist, and when he first covered Lollapalooza in 2005, The Killers and the Pixies were two of the four headliners. Send news tips to him at tony@thrillist.com and follow him on Twitter @tonymerevick.